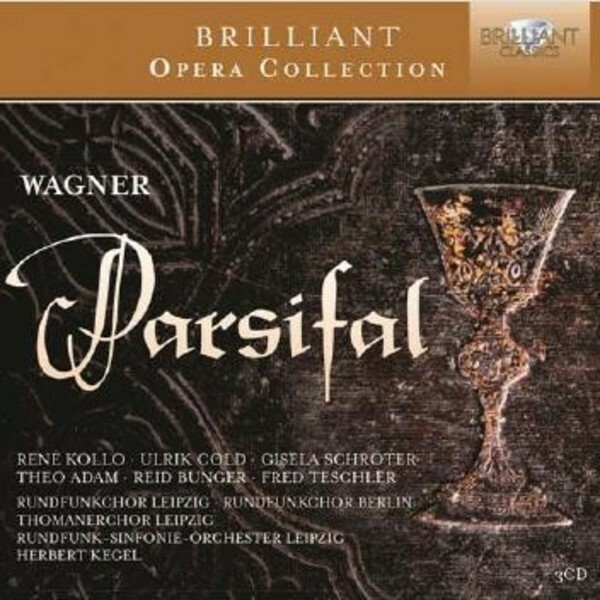 This reissue of the 1975 live recording of Wagner’s Parsifal features a stellar cast: the great René Kollo in the title role, with Theo Adam, Gisela Schröter and Ulrik Cold, and the splendid Rundfunk‐Sinfonie‐ Orchester Leipzig, conducted by Herbert Kegel, a specialist in late romantic repertoire. First issued on Berlin Classics, this historic recording received high praise for its “unusual swiftness and dramatic candour” (Gramophone) and the “highly distinguished” title role of René Kollo. The booklet contains excellent liner notes in English and German, and the libretto is available on the Brilliant Classics website.